The stage of endometriosis a woman has can help her to determine her treatment options. Endometriosis is a common female reproductive system disorder or disease that according to the American Society for Reproductive Medicine affects 24 to 50% of women who experience infertility. These women develop endometrial tissue outside of the uterus on other reproductive organs in the abdominal cavity. This misplaced endometrial tissue grows and sheds in response to the hormonal changes of the menstrual cycle resulting in internal bleeding and the tissue attaching to other organs that share the abdominal cavity with the uterus. There are theories about the causes of endometriosis however there is no conclusive evidence. These theories range from – tissue backing up into the fallopian tubes during menstruation which is referred to as “reverse menstruation” (it then attaches to other organs in the lower abdomen and grows) – to having predisposing genetic factors to the disease and the possibility that the immune system may activate cells to secrete factors which stimulate endometriosis growth. What is known is that estrogen, namely an excess of it, fuels endometriosis and it is critical to explore ways to reduce your exposure to excess estrogens and chemicals called xenohormones that have a negative impact on the body’s ability to balance hormones naturally. According to Johns Hopkins Medicine, endometriosis is classified into one of four stages, as classified by the American Society of Reproductive Medicine, depending on location, size, degree to which it has spread, and depth of endometriosis implants; presence and severity of adhesions or bands of scar-like tissue that attaches to organs outside of the uterus; and the presence and size of endometrial tissue growths or cysts on the ovaries. While the presence and severity of symptoms will differ for each woman with endometriosis below is a general description of each and ways in which you might support yourself through these symptoms. First and foremost it is wise to learn and implement some of the most effective diet and lifestyle changes to support the body in dealing with endometriosis. Stage I or minimal – is characterized by a few isolated endometrial implants outside of the uterus and a minimal number of mild adhesions, if any. Stage II or mild – is characterized by more and slightly deeper implants less than 5 in total and a minimal number of mild adhesions. Stage III or moderate – is characterized by many deep implants, small endometriomas (chocolate cysts because of the aging of blood) or cysts on one or both ovaries, and some filmy adhesions or scars. Stage IV or severe – is characterized by multiple deep implants, large endometriomas or cysts (chocolate cysts) on either or both ovaries, and multiple dense (thick) adhesions often involving other organs. Stage III and IV endometriosis may require you work with your healthcare provider to create the best plan for addressing your symptoms which may include surgical procedures such as Laparoscopy or Excision surgery. No matter the stage you suffer from, also consider a natural endometriosis support plan. Endometriosis is one of the female reproductive system anomalies that natural therapies have proven supportive of given you know the stage you have, are open to both medical and natural support options that may include a commitment to long term, even life-long, dietary and lifestyle changes. I have had surgery to remove 1 cyst on my left ovary but a month after that the cyst grew back and i may have another cyst on the irght. What natural remedies can i take or do to help reduce/remove the cyst and get pregnant as i do not want to go for another surgery. 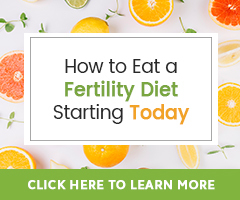 I am sorry this has been your experience, sadly while surgery is necessary for some women, it does not address the underlying hormone imbalance that may be contributing to this fertility issue. Please take time to learn How to Help Ovarian Cysts Naturally and Safely with Herbs and Supplements… There is important information here that I feel you will appreciate knowing. Hello, I had surgery for endometriosis in the summer of 2003. Fast forward to today, I am 44 years old, in and out of menopause. I say in and out because acupuncture and herbal support bring my cycle back. Yes, I am trying to conceive as I have no children. Western blood tests say my estrogen and progesterone is very low, menopausal, however I’m still having pain from endometriosis which is fed by estrogen. I’m confused. Wouldn’t it resolve if there is nothing to feed it? How wonderful that you are finding support in Acupuncture and herbs. Estrogen not only is produced by our bodies, but can also come from our diets, lifestyles including personal and body care products, even makeup, and our environments. Estrogens from these sources are referred to as bad estrogen or xenohormones. I hope the information at that link helps you understand what may be contributing to the issues you are experiencing.